For some, picking out or making the perfect costume is the best part of Halloween. For others, decorating homes and classrooms with spooky ghosts and spiderwebs is the best part. But, for many, Halloween candy is the ultimate reward for their trick-or-treating efforts. With that in mind, many students of the elementary school responded to the request for Treats for Troops with incredible generosity. 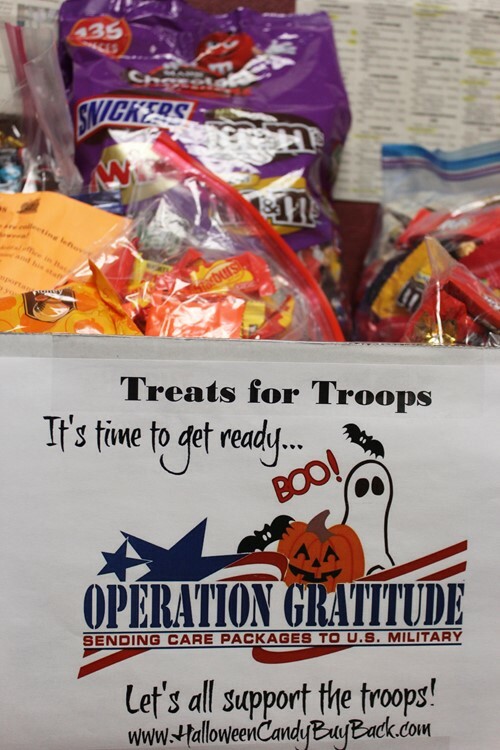 Treats for Troops is a program through which extra Halloween candy is distributed to deployed service men and women through Operation Gratitude. Collection boxes were placed in the elementary school front office on Thursday and, by Friday morning, the boxes overflowed with treats. This year the students of Byron-Bergen schools have been asked to be respectiful, be reponsible, be accountable, and be there best selves. Thank you to all the participating students for embodying all of these values.